HOUSTON (KTRK) -- A car chase in north Harris County ended with the arrest of two car burglary suspects, one of whom was wearing a tracking device. Shenandoah police say they saw two suspects trying to burglarize a car at a popular seafood restaurant. Police tried to stop them, but the suspects jumped into a car and drove off, sparking the chase. 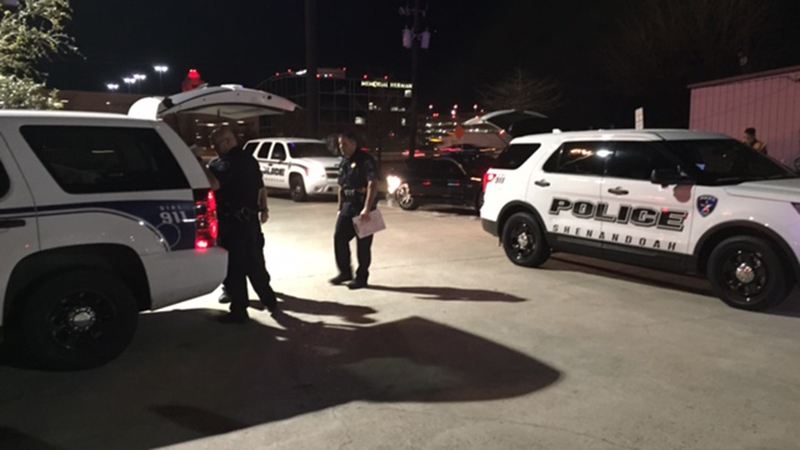 Officials say the suspects were driving as fast as 80 miles per hour on the southbound shoulder of Interstate 45. Traffic slowed them down and eventually brought the chase to an end. Two suspects inside the car were arrested. Police say one of them is a documented gang member and the other was wearing an ankle monitor. Both were wanted for felony warrants and now likely face charges of burglary of a motor vehicle and evading arrest.